Dr. Jerry Arnold graduated from the Baylor College of Medicine. He did his internship and residency at the University of California, Davis Medical Center. 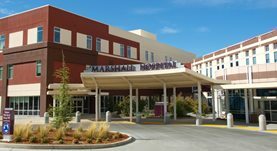 He is a board certified radiologist based in Placerville, California and is currently affiliated with the Marshall Medical Center. His area of expertise lies in the field of radiologic diagnosis of various types of cancer and mesothelioma.